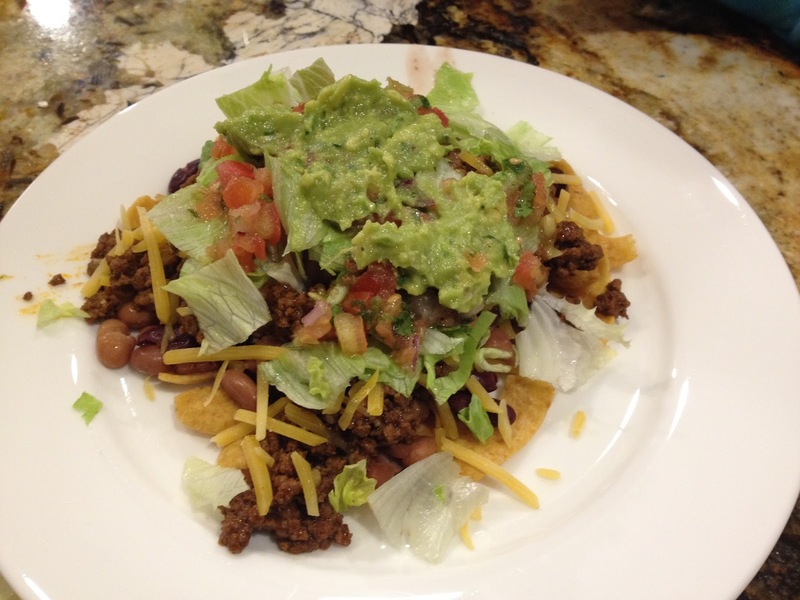 Taco salad in Beaverton on November 21. 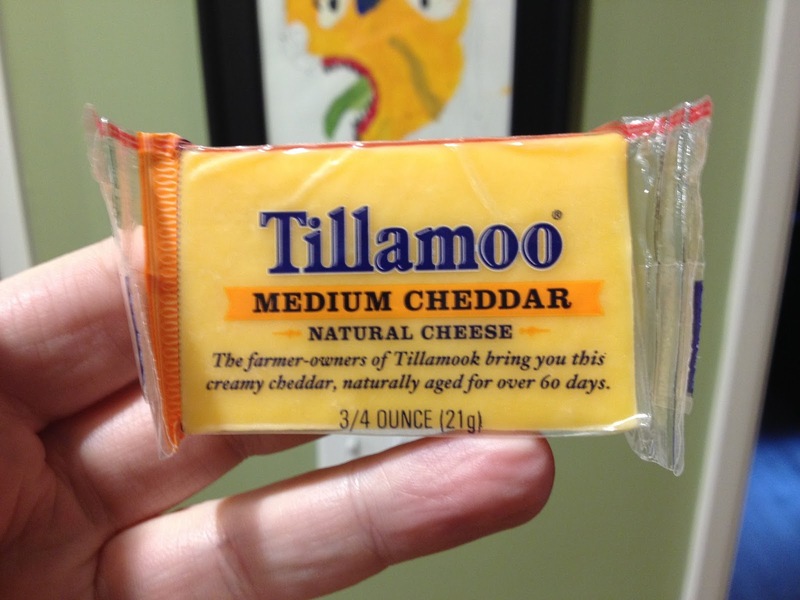 Tillamoo, the latest way to consume Tillamook cheese. 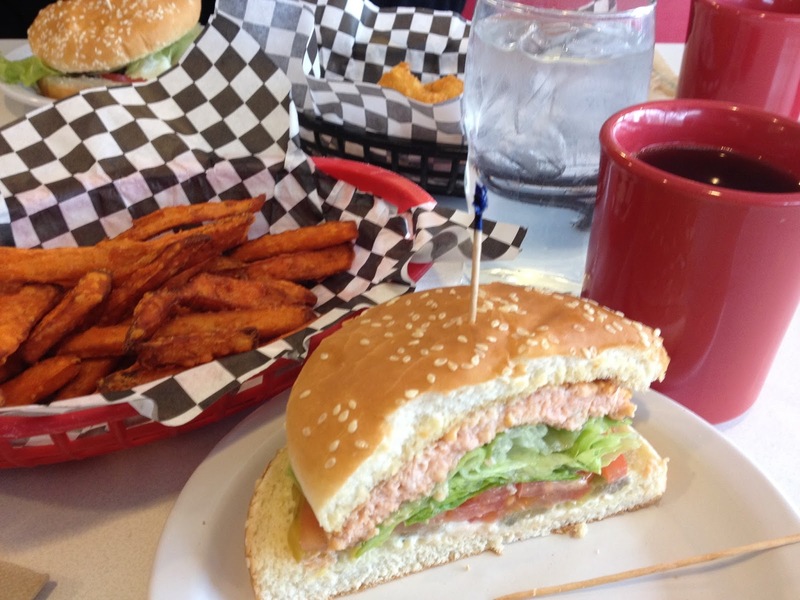 Salmon burger at Skyline Restaurant on November 23. 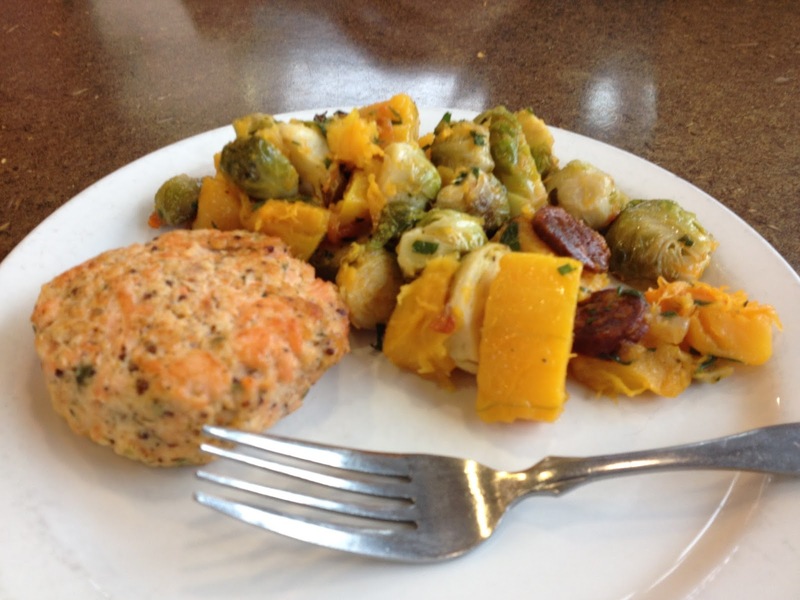 Salmon ball with Brussels sprouts and squash at New Seasons Market in Raleigh Hills, Portland on November 24. 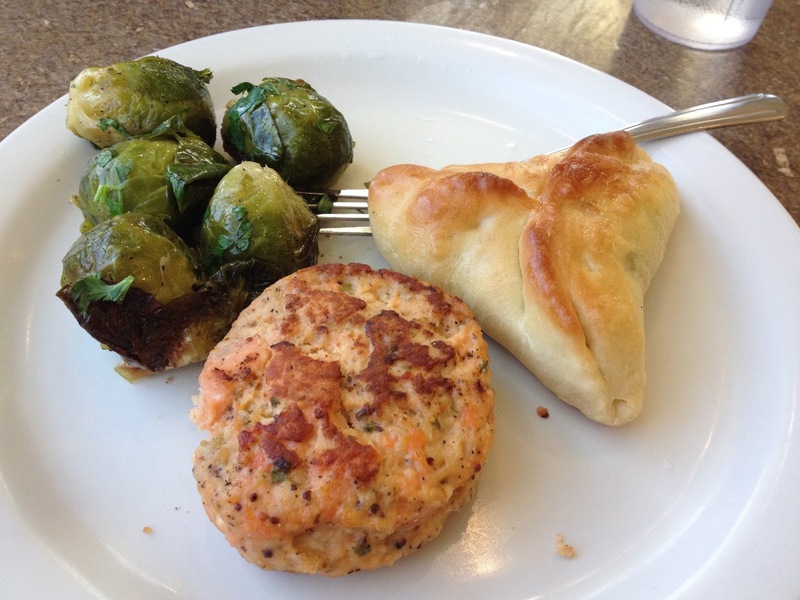 Salmon ball with brussels sprouts and ham turnover at New Seasons Market in Progress Ridge, Beaverton on November 25. 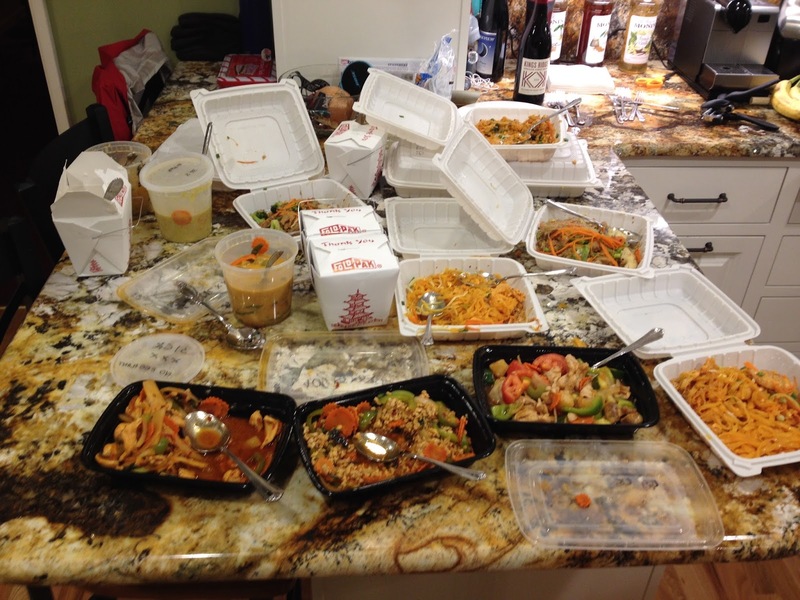 Thai food on Thanksgiving Eve in Beaverton. 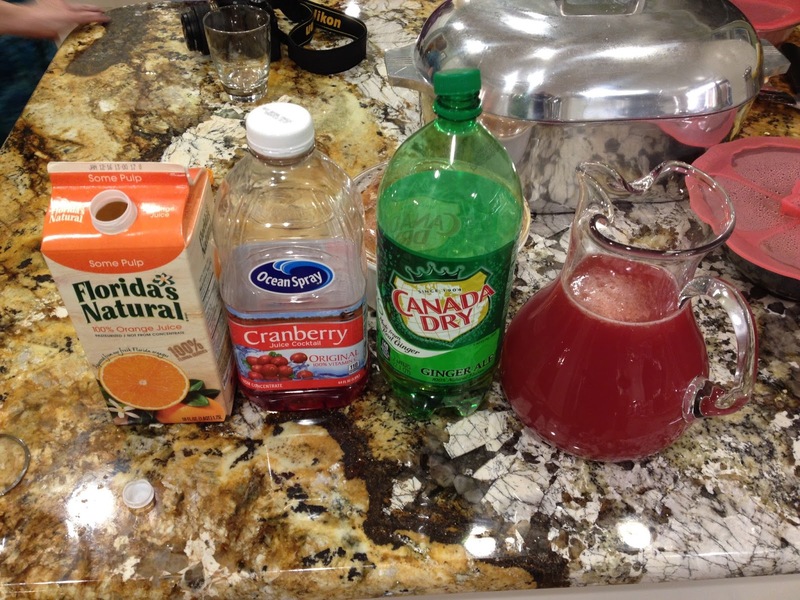 Thanksgiving punch. I could give you the proportions, but that would be telling. 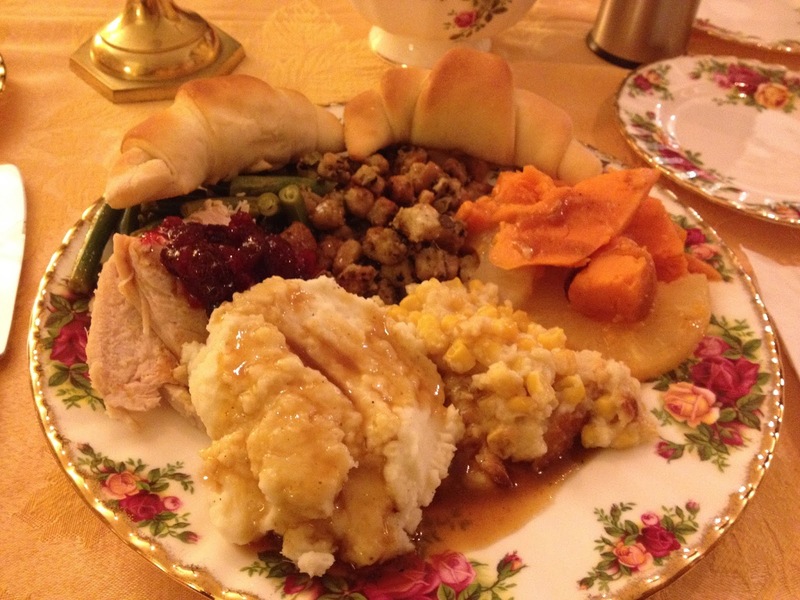 Thanksgiving dinner in Beaverton. The turkey is in there somewhere. 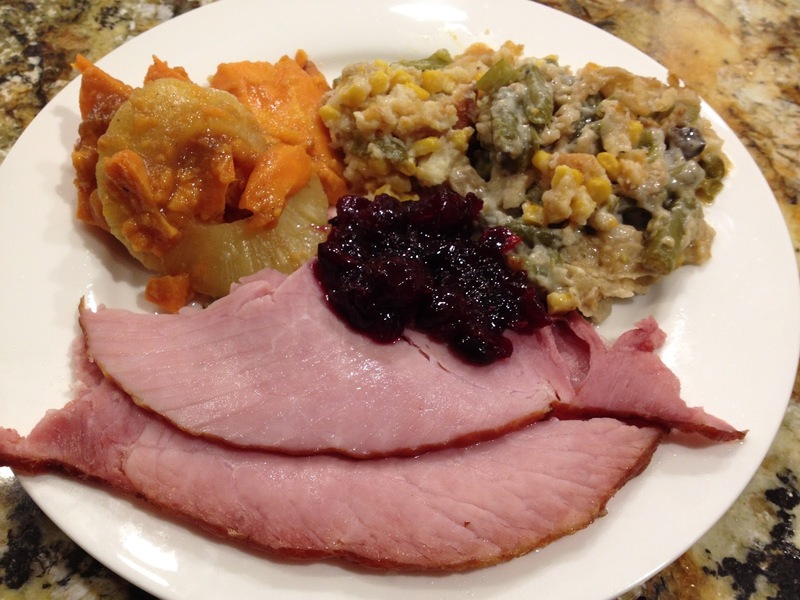 Black Friday ham with leftovers. 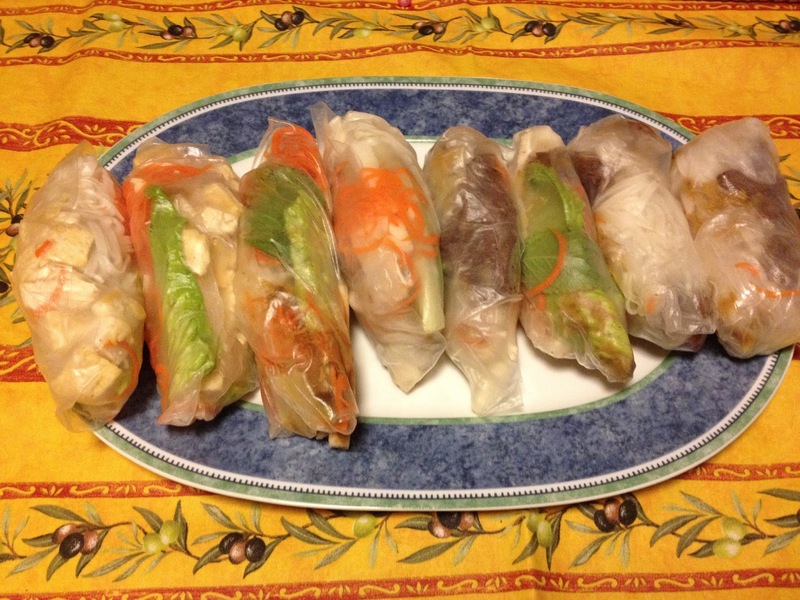 Thai roll-ups in Garden Home on November 29. 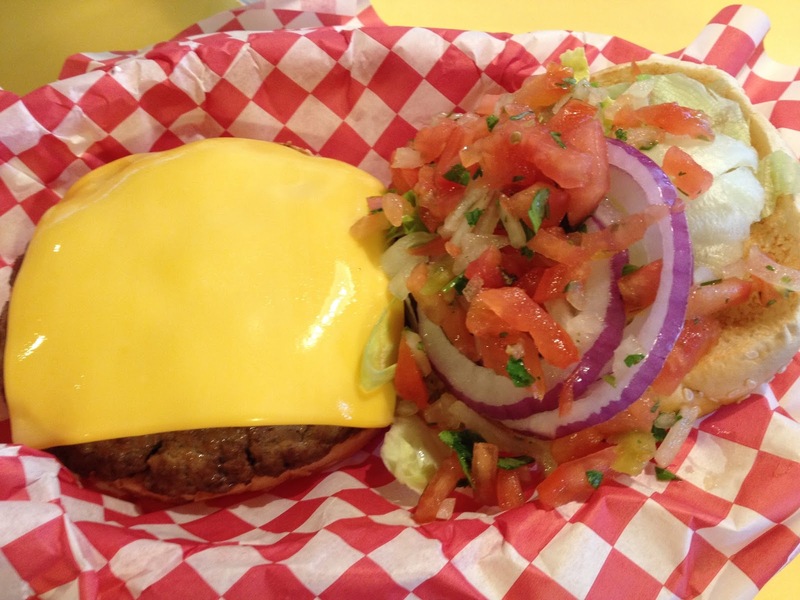 George's Giant Hamburgers on Pacific Highway in Tigard on November 30. Christmas Eve dinner in Cambridge. 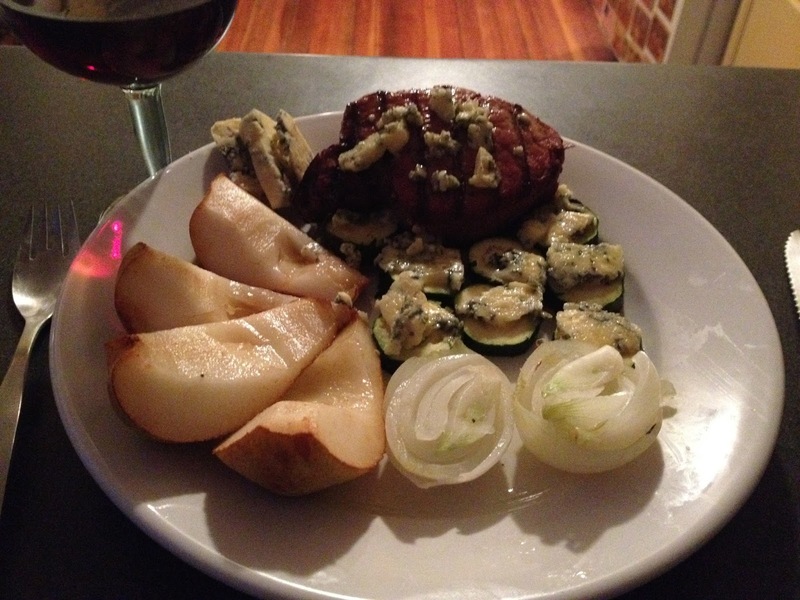 Tenderloin steak and zucchini covered in Stilton cheese with onions, pears and port. 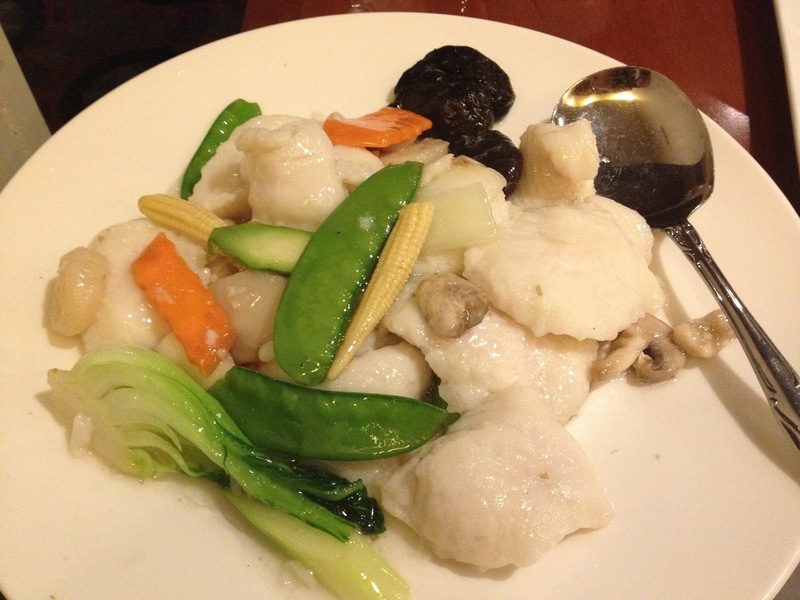 Christmas dinner of sautéed fish at Changsho in Cambridge. 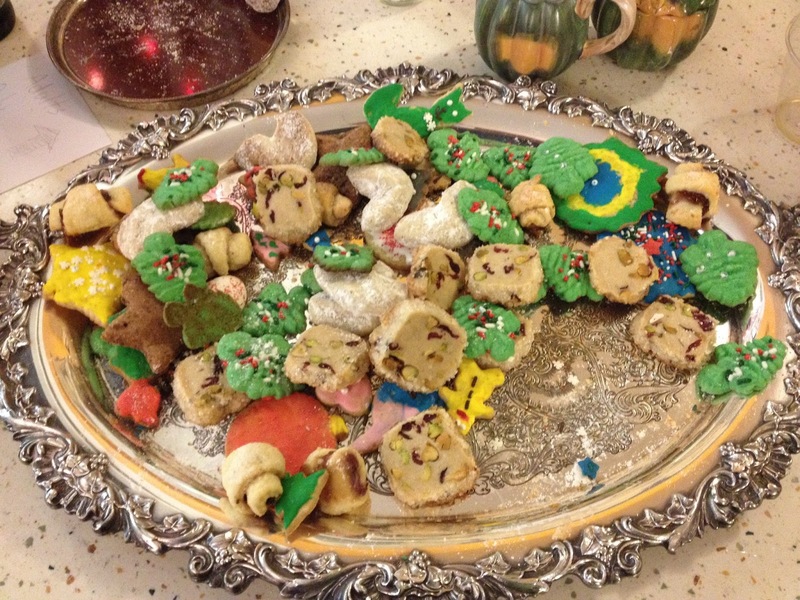 Cookie tray at New Year's Day party in Cambridge. 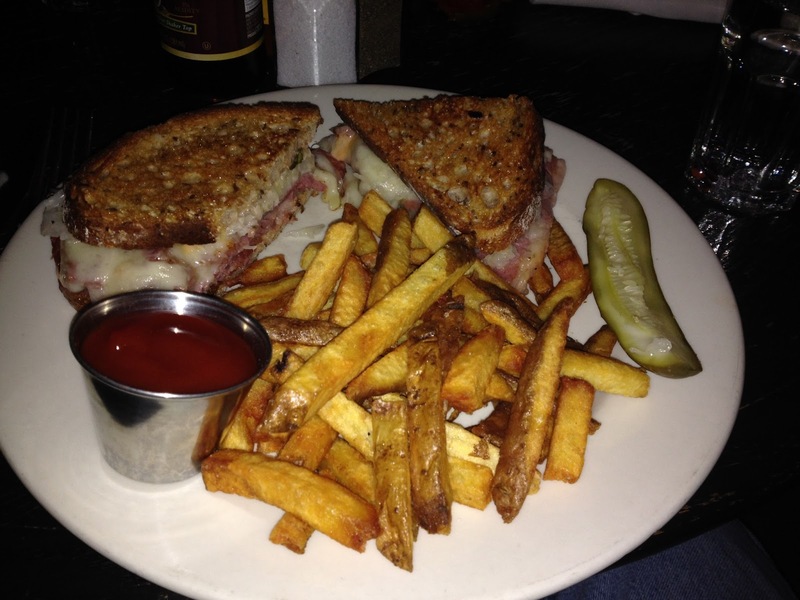 Reuben sandwich at The Independent in Somerville on January 2. 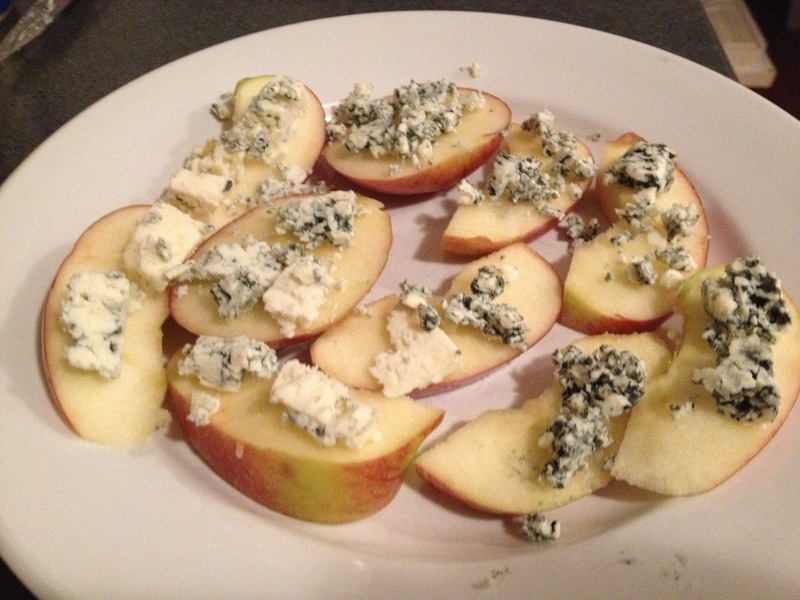 Apple slices and Danish blue cheese in Cambridge on January 2. 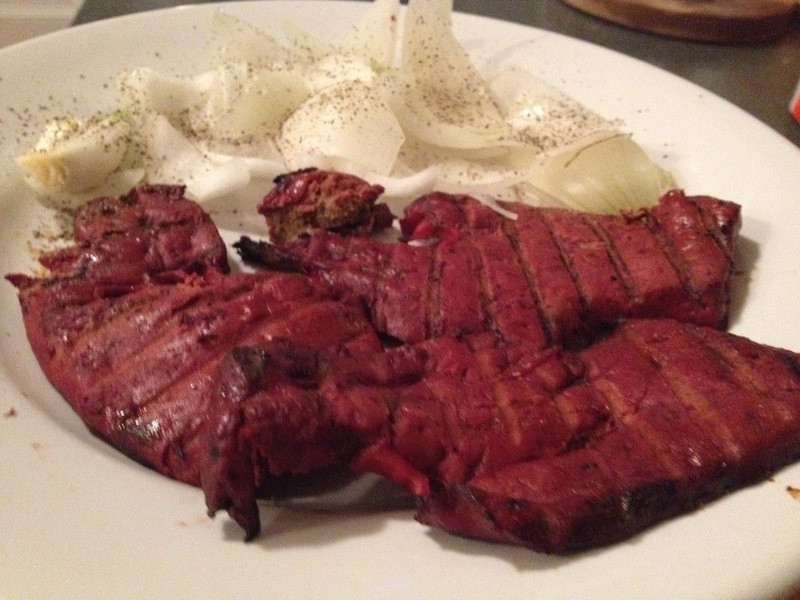 Grilled liver and onions in Cambridge on January 3. There were 3 or 4 more bloggable meals in that stretch, including a lovely meal in Hillsdale and a great office holiday party at Park, but I don't have pictures.